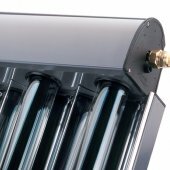 SOLFEX energy systems vacuum tube collectors are mass-produced products manufactured by our OEM partner and European market leader for vacuum tube collectors Ritter Solar GmbH in Baden-Württemberg-Germany. 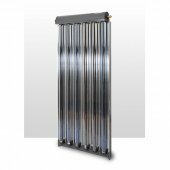 Their outstanding design, professional processing, top quality and high energy yield, as well as their excellent price/performance ratio make them stand out. High-quality, corrosion-resistant and tested materials ensure smooth operation over a long useful life. 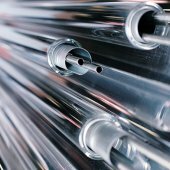 The well-known indestructibility of the borosilicate glass tubes was conﬁrmed by positive test results in the hailstone test according to DIN EN 12975-2 and the thermal shock test. The CPC INOX evacuated tube collectors were developed especially for solar water heating and for solar backup heating. The low pressure loss allows several modules to be connected in series. 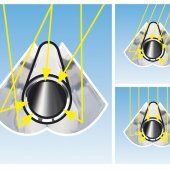 The aperture area measurements of 1.0, 2.0 and 3.0 m2 allow accurate adjustment to water and/or space heating requirements. 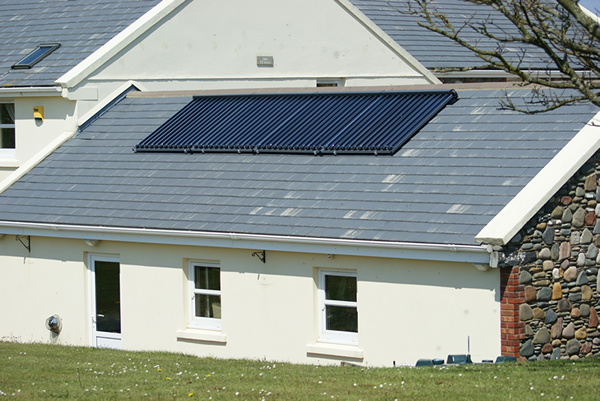 We also paid careful attention to details which are important for mounting the system: the solar system is delivered with a tentered sun protection sheet to allow commissioning the system even during maximum solar irradiation. Hand straps which can be attached to the collector frame ensure safe and easy transport onto and across the roof and can be used as transport straps for quick mounting. 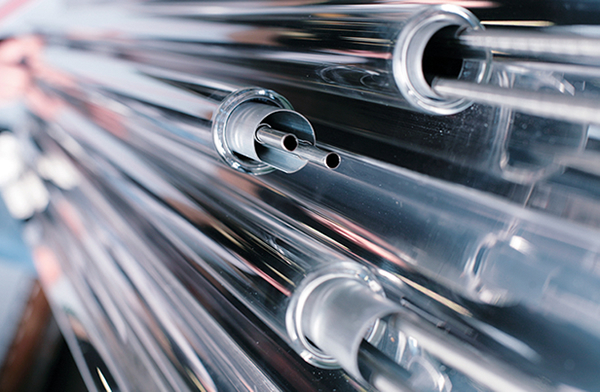 To increase the efﬁciency of evacuated tube collectors, a highly reﬂective, weather-proof CPC reﬂector (Compound Parabolic Concentrator) is ﬁtted behind the evacuated tubes. 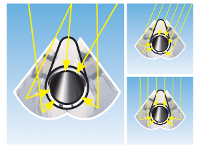 The special, improved geometry of the reﬂector ensures that direct and diffuse sunlight falls onto the absorber even when the angle of incidence is not ideal. This considerably improves the energy yield. The evacuated tube is a product with improved geometry and performance. 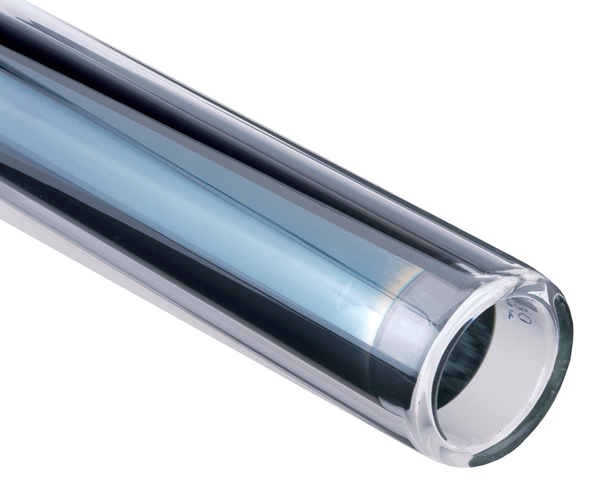 The evacuated tubes consist of two concentric glass tubes which are sealed in a semi-circular shape on one side and are joined to one another on the other side. The space between the tubes is evacuated and then hermetically sealed (evacuated insulation). 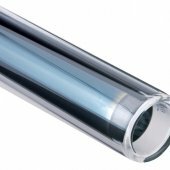 To use solar energy, the internal glass tube is coated with an environmentally friendly, highly selective layer on the outside, thus turning it into an absorber. The coating is protected in the evacuated space. The aluminium nitrite sputter coating used is characterised by extremely low emissions and excellent absorption. In the development of the collectors, our OEM partner Ritter Solar GmbH used their many years of experience with CPC in combination with the latest findings from production technology. 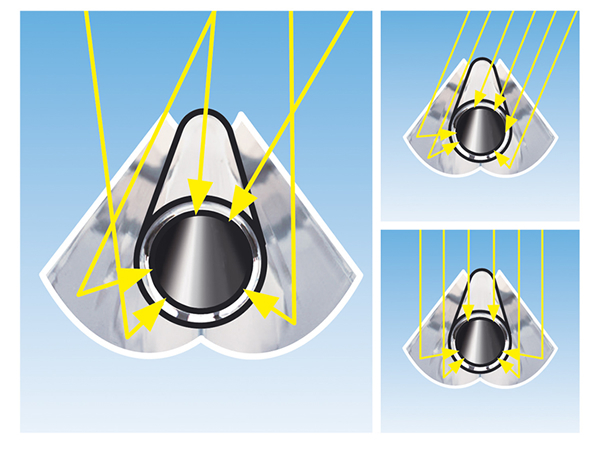 Sharp reflector edges are framed in the aluminium frame profile. The edges of the collector frame are sealed with rubber profiles. Only few screws are used in those places which need to be unfastened for maintenance; rivets are not used. 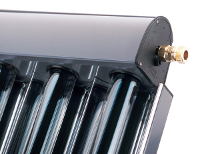 For CPC INOX, the flow and return pipes may be fitted on the left or the right of the manifold. Depending on the location of the flow pipe, the sensor is placed on the right or the left. 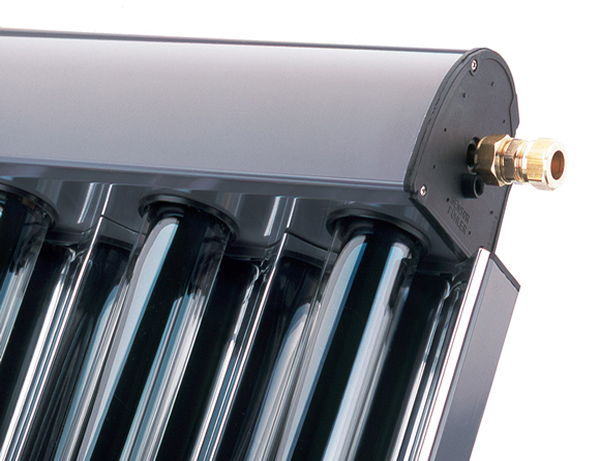 The pipes are mass produced with just a minimum number of soldering points. This results in high leakage safety and a reduction of internal scaling. The internal pipe register is also constructed from stainless steel, which prevents any associated corrosion issues from faulty transfer mediums and two dissimilar metals fused together. 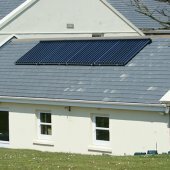 The reflector is produced from a weather proof metal sheet with protective coating using accurate roll forming technology.The special fastening technique allows the reflector to be exchanged without using tools. The heat transfer plates are made of aluminium so that even high stagnation temperatures have no effect on the metal’scharacteristics. The heat transfer plate is folded into both pipes. The tube retainer can be mounted and demounted from the foot rail without using tools. Sharp edges are sealed with rubber profiles.